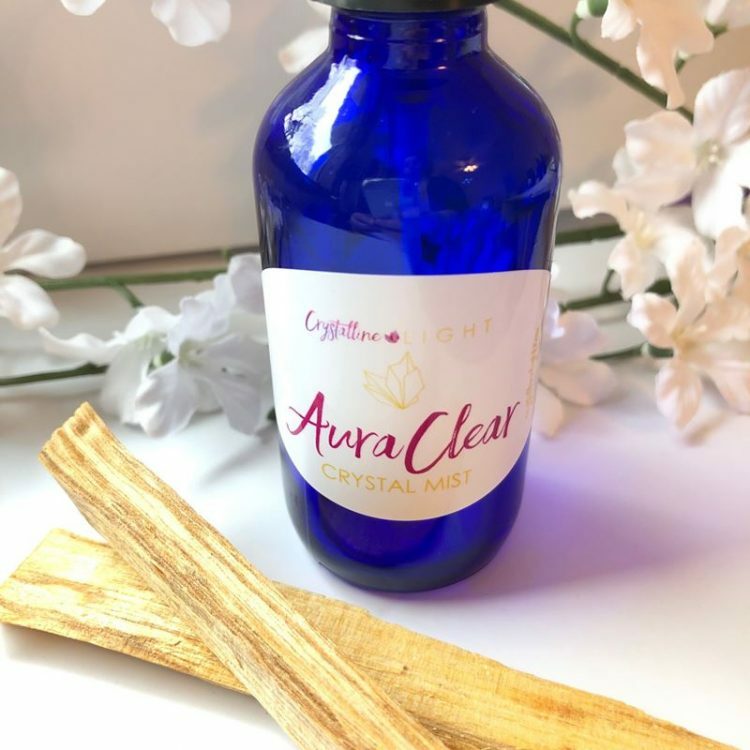 This brand new and one of a kind AuraClear Crystal Mist was created specifically for clearing your aura and spirit. 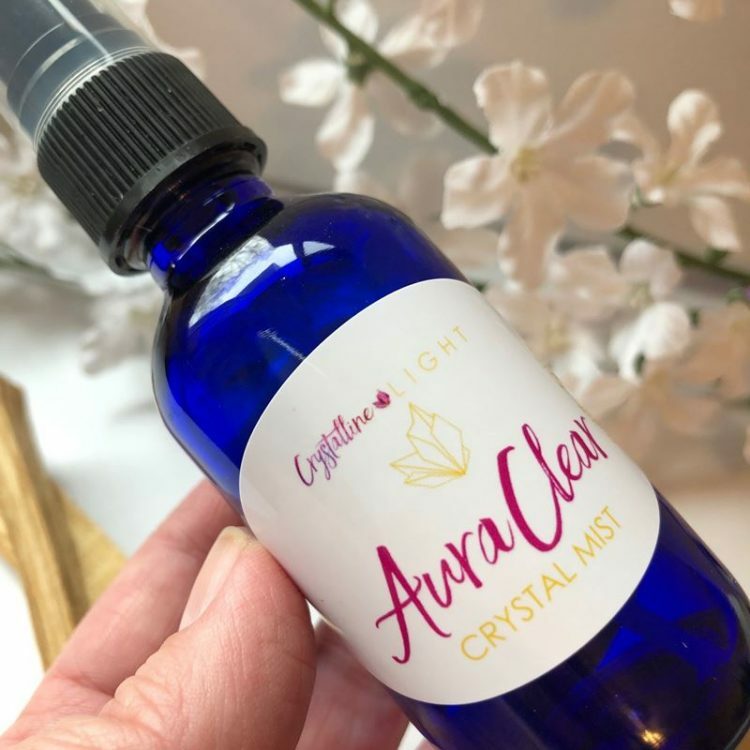 The intention of this new Crystal Mist is to clear energies from your aura that may be stuck or stagnant, which then allows you to be fully bright and shiny. As we move through life, stuff happens. We get cranky. The person in front of us at the grocery store leaves a trail of negative energy. 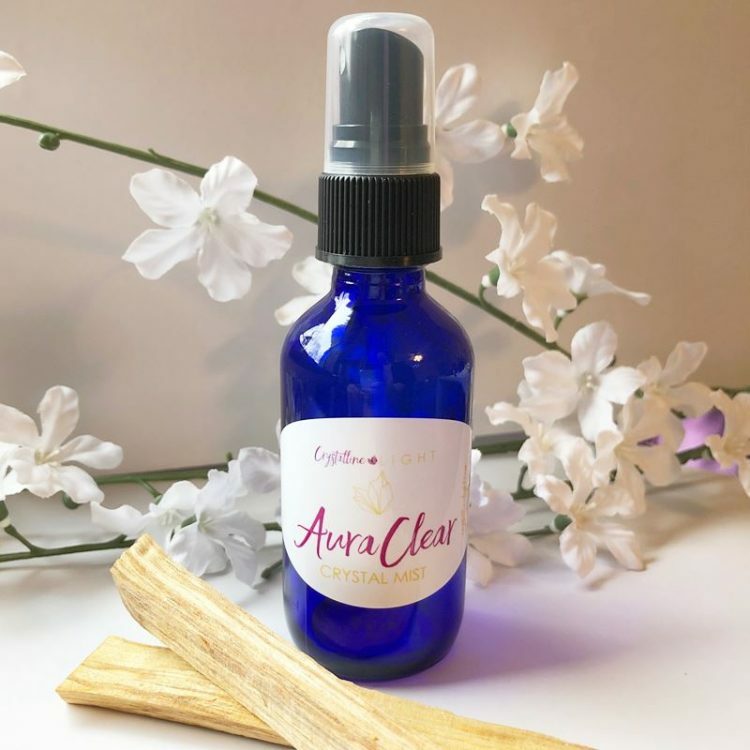 By misting yourself with AuraClear, you’re making a strong white light aura around yourself that is supportive and vibrant. All mists are created individually by hand with lots of intention and love.